1. Can I get a refund on my housing payment if I am unable to get a visa? Yes. We will refund your housing payment if you are unable to get a visa as long as you cancel no later than two weeks (Sunday, 30th of June, 2019) before the start of the program. Please contact us at pitp@ias.edu for assistance with this. 2. I don't have a credit card. Can I pay for housing with a bank transfer? Yes. Bank transfers will be accepted for housing payments, or by cash payment at registration on the first day of the program (Monday, July 15th). 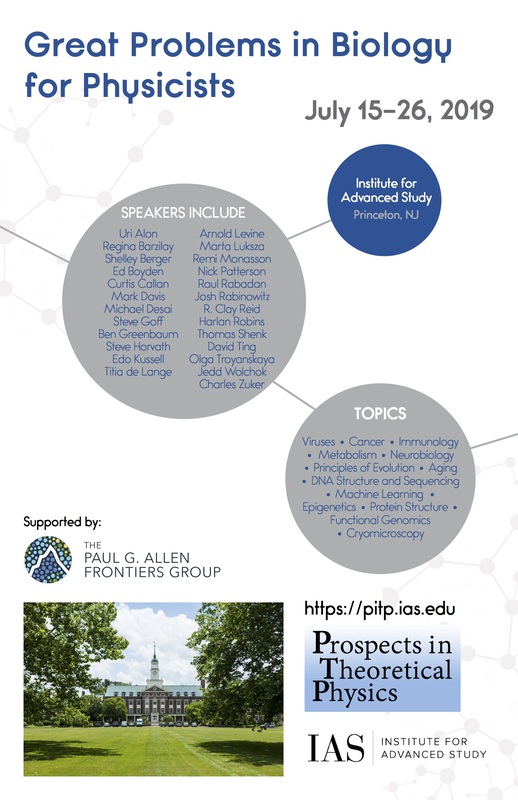 Please contact us at pitp@ias.edu for the necessary details. 3. Are the dorms single or will I have a roommate? We are anticipating being able to house participants in single dorm accomondations with shared bathrooms. 4. Are the dorms air-conditioned? The dorm accommodations will not have air conditioning. 5. I am arriving before the program start date, leaving after the end date, or planning to travel with a partner/spouse/child, can I extend my stay or may they stay with me? Additional nights or guests are not available to participants. The housing will be available from the afternoon of Sunday, July 14 and the last night being Thursday, July 25h. Check out will be on Friday, July 26th after the last lunch of the program. More details regarding check in and check out will be given to participants closer to the program. If you should need to find additional accommodations, please see a list of various local options here. 1. Where can I find tips for how to get to Princeton, New Jersey, USA? You can view our Travel Hints pages under Travel Information on the top menu bar. 2. I need to apply for a visa. Do you have any helpful information? You can visit our Visa Hints website for information on how to best apply for a U.S. Visa. If you need an official letter of invitation or have any questions, please email us at pitp@ias.edu. 3. Will I need a car to get to the Princeton University or Institute for Advanced Study campuses? If you are staying in dorm accommodations, you will not need a car. Housing is located on the Princeton campus and is a short 20-30 minute walk to the Institute campus. If you plan on driving to the dorms, there will be a designated parking lot where you can park your car for the duration of the program. If you are a commuter or auditor staying in nearby lodging, it will depend on how far away your hotel is from the Institute campus. You will not need a parking pass to park daily at the Institute. 4. I am not staying in the dorm accommodations, am arriving early or leaving after the program has completed. Do you have any recommendations for nearby lodging? There are a number of nearby hotels and lodging options that may be suitable for participants who are interested in either arranging their own accommodations or need additional accommodations due to travel dates. There are a number of hotels and motels along the Route 1 corridor in the Princeton area. You can view a list of local hotels here. There are also rooms and homes available for rent by the local Princeton community. You can view Airbnb rentals here or Vacation Rentals by Owner here. If you have any other questions, please email us at pitp@ias.edu.